You are here:Home>Injuries>If You Were Hurt in an Embarrassing Way, Can You Still Recover? Empathetic attorneys fully understand the anguish their clients feel in reliving difficult injuries, but some cases are difficult to relive for a completely different reason: victims may feel embarrassed about the seemingly ridiculous way in which they were injured. But even a case that makes you blush beet red could lead to significant damages. Embarrassment naturally accompanies mistakes, but that doesn’t necessarily mean that you’re to blame for your situation. For example: in 2012, a man sued BMW and an aftermarket company for causing priapism-a long-lasting erection-via his motorcycle’s ridge-like seat. His situation may seem mortifying, but he was clearly in distress. However, he was not willing to let embarrassment stop him from seeking recourse for his physical and emotional suffering. Because Texas is a modified comparative fault state, you can potentially obtain compensation despite acting recklessly-but only if the other party is deemed at least 51 percent responsible for your current suffering. If you’re mortified, you may not be the best judge of whether you held any fault for your situation. Your attorney can apply an impartial perspective to determine whether another party may be liable for your current misfortune. Share the full extent of your suffering and the circumstances underlying it so your attorney can make an accurate judgment call. Don’t be bashful during attorney-client consults, but keep quiet elsewhere. Never admit in court that you feel embarrassed about your situation, as this feeling may imply fault on your behalf. Instead, describe your physical anguish or emotional issues such as fear and sadness. 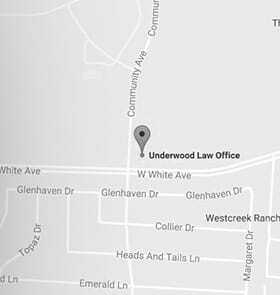 No matter the circumstances underlying your personal injury case, you can count on the Underwood Law Office for compassionate counsel. Please call our toll-free number 844.UNDERWOOD (844.863.3796) for more information and to schedule a case consultation.